With interest rates on new vehicles the highest the market has seen in a decade according to Edmunds, a leading online resource for automotive information, getting the best price on your next car –whether new or used– is more important than ever. 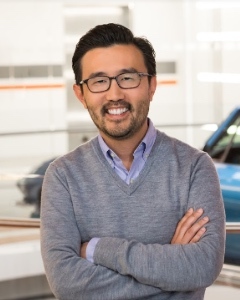 RewardExpert recently sat down with Eugene Park, Edmunds’ chief product officer, to learn more about the resources the company offers to guide car shoppers from research through purchase as well as tips for maximizing your savings. Edmunds’ mission continues in that vein to this day. “We want to make car buying easy, which is not necessarily a small task,” Park noted. Park said anyone in the market for a new or used vehicle can benefit from using the resources they’ll find on the Edmunds website. “We tend to attract shoppers who really want to do research to prepare themselves,” he added. “They’re very interested in understanding how the process works. Consider certified pre-owned vehicles. Interest rates are high right now, and certified pre-owned vehicles can offer subsidized loan rates, which will help you save money. Compare used and new prices. Don’t automatically assume a used car will be cheaper than a new one. According to the experts at Edmunds, incentives and discounts can sometimes bring the price on a new car down to less than one that is one- to two-years old. Factor in the cost of repairs. If you have a tight budget and are planning to spend around $5,000 on a used car, consider looking for one that is $4,000 and saving the extra $1,000 for any necessary repairs. Consider different brands. While the team at Edmunds say that Honda and Toyota are great, they noted that there are other brands of excellent quality that may cost less.